September, Swoope, Virginia: I live in such a beautiful place – It’s mostly grasslands and forests. In some places, one cannot see another dwelling in any direction. On most mornings, mist hugs the hollows and heavy dew blankets the ground. Things in the natural world are moving, migrations of many animal species are in full swing. We are in the full swing of Raptor migration. The Rockfish Gap Hawkwatching station in Afton is one of the best places on the East coast to experience this phenological phenomenon. 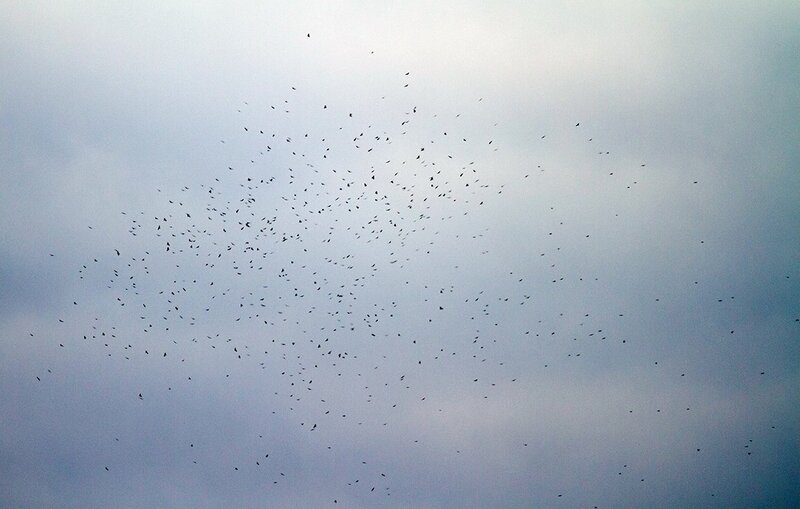 The excitement of seeing several hundred Broad-wing Hawks in one view of your binoculars can never be extinguished. “Oh, my God”! is heard often on the mountain as the Raptors rise up through a thermal in what is known as a “kettle”, then glide Southward without wingbeat into the unknown. A “kettle” of Broad-wing Hawks at Rockfish Gap. There are over 1,200 in this view. Photo by Diane Lepkowski. 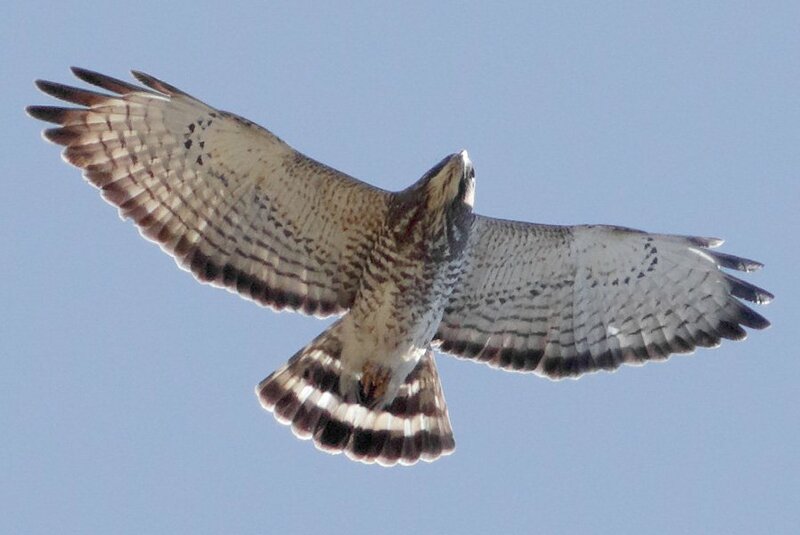 Broad-wing Hawks nest throughout the Eastern United States and as far north as Canada during the summer and migrate South to Central and South America beginning in late August. The peak of their migration in Virginia is about the third week in September. Broad-wing Hawk flying over the Rockfish Gap Hawkwatch station. Photo by Marshall Faintich. All the warblers are in migration. 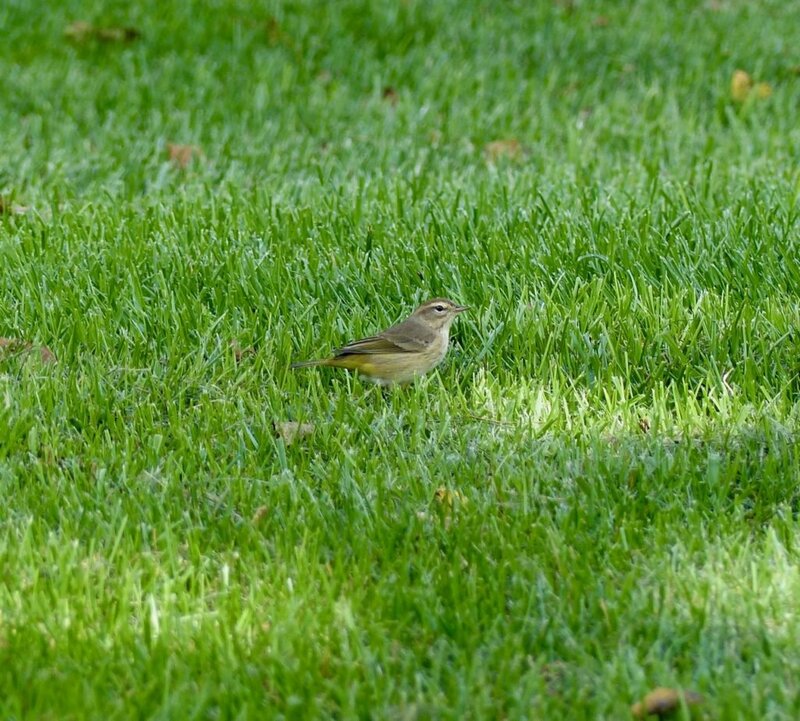 It’s a special treat when any warbler stops by to rest and refuel, right in the backyard. I was lucky to spot a group of about six Palm Warblers in the gardens and yard. They nest in Canada’s boreal forests during the summer and winter along the Gulf coast and in the Carribean. 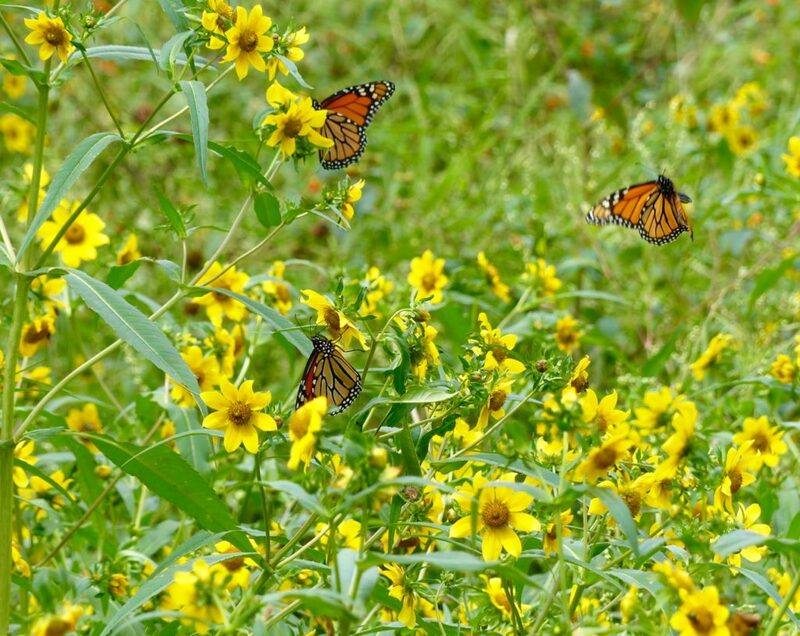 We leave as many milkweed plants as we can in the riparian and wildlife areas of the farm for Monarchs. 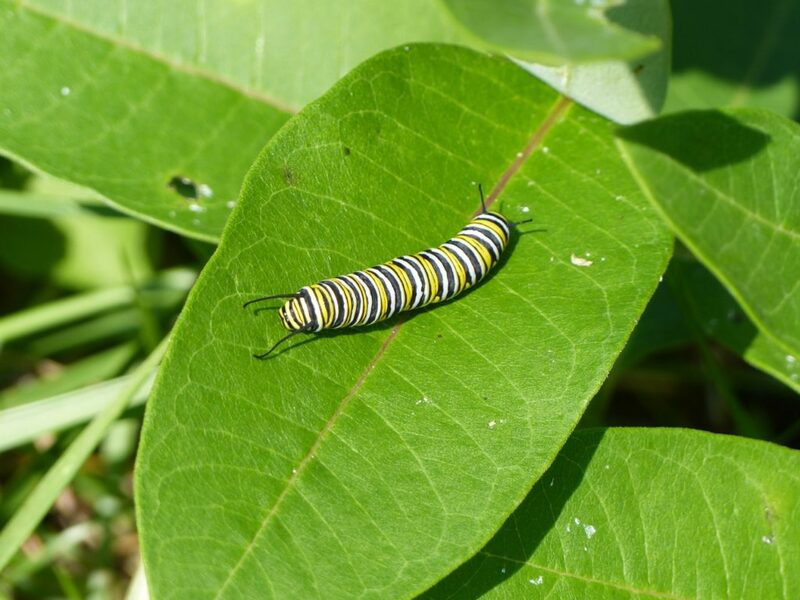 The adults lay their eggs exclusively on milkweed plants and the caterpillars eat only milkweed leaves. 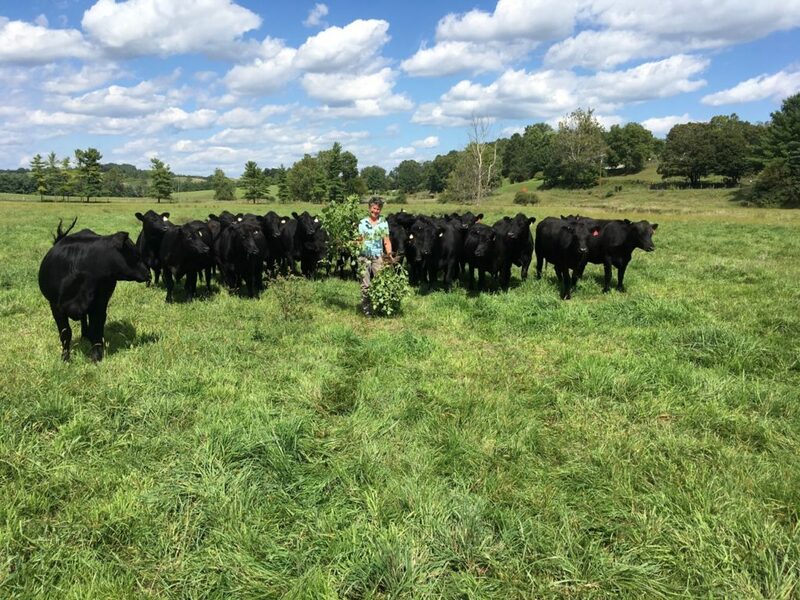 Jeanne is obsessed with removing invasive weeds in the pastures. She drives through the pastures checking cattle in her retired, right-hand drive, postal service jeep that now serves as a farm vehicle. She has a corn knife on the right-hand side of her seat to whack down any remaining thistles she can spot, In route, she drives to a lone cocklebur, stops the vehicle, gets out, pulls the weed up by the root and puts in the jeep. The ivasives will be put on the burn pile. Jeanne pulls up cocklebur plants while the heifers follow her in the meadow. 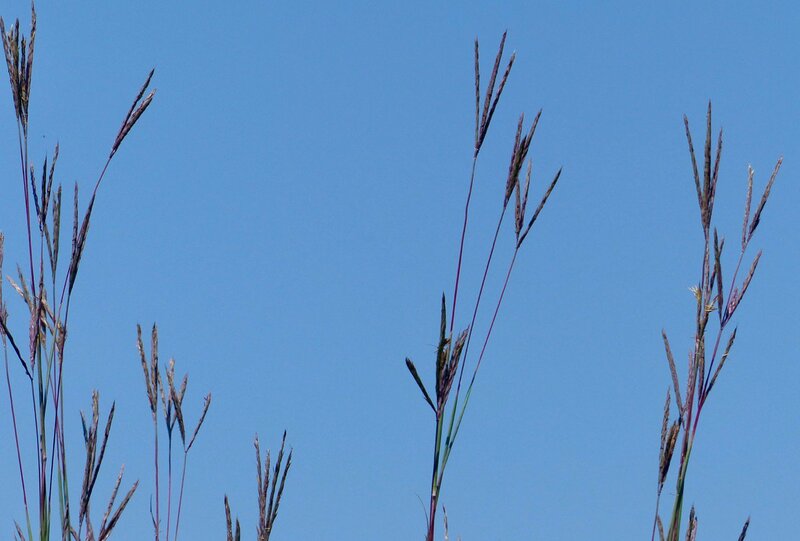 Seed heads of big bluestem, a native warm season grass we planted for the native critters. 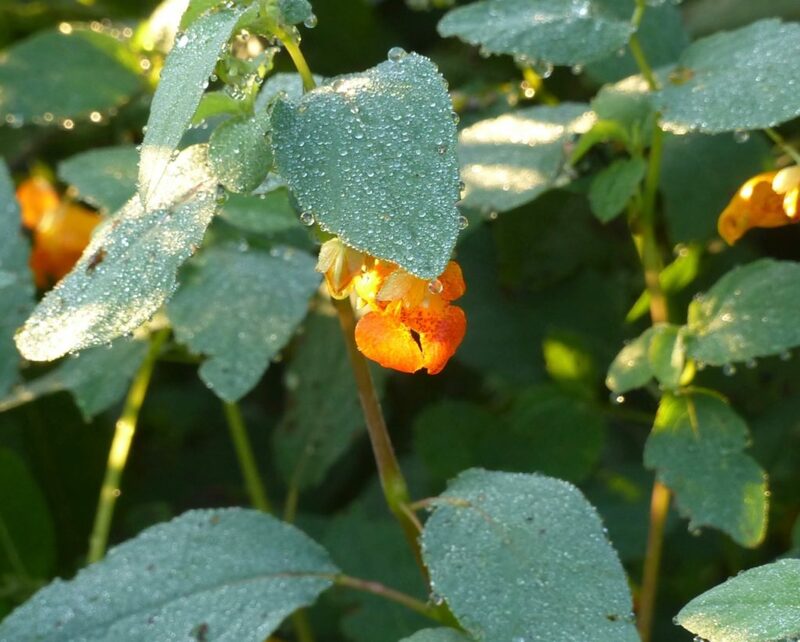 Jewelweed, a native “touch-me-not” blooms in the riparian areas on the farm. It attracts many pollinators. 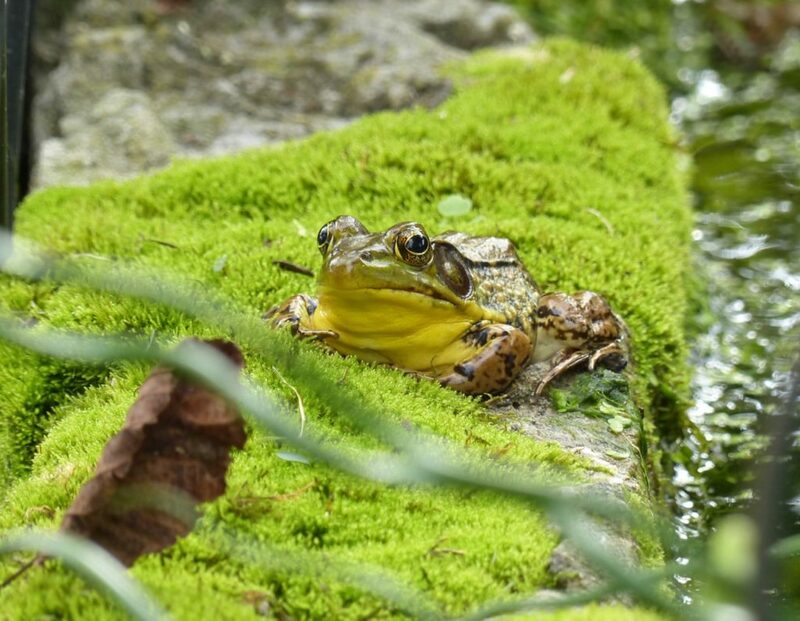 American Green Frog at Meadowview. The post Migrations – Swoope Almanac September 2017 appeared first on Getting More on the Ground.